Some people may find planning a wedding or an event overwhelming or they just don’t know where to start. Over the next few weeks I will writing a series on how to draw out the party planner in you. Each post will help you feel more confident and help you be more creative with your wedding or event planning and most of all how to save $$$. I encourage to share you thoughts and journey with us by posting comments below and feel free to ask any questions you may have each week for me to answer I try my best to answer them all. All of my friends know I love entertaining and when I get the opportunity to plan any type of event, you can always count me in. Sometimes when trying to be creative, I get a bit carried (I say a bit, my friends and family would much more than a that) with thinking of outside of the box and how I can add that extra WOW factor to the event. If you are like me I am addicted all of the wedding shows, my favourite show is “My Fair Wedding” hosted by David Tutera. From watching the show (and yes I record every single episode) and by planning events and weddings I have learnt that you need to have a concept. To start creating your concept, I suggest you start by creating a mood board. A mood board is a type of collage that may consist of images, text, and samples of objects in a composition of the choice of the mood board creator. Designers and some wedding planners use mood boards to develop their design concepts and to communicate to other members of the design team and clients. When you start planning an event such as a Wedding, Engagement or Birthday party, creating a mood board allows you to see different colours, textures and ideas all together. You don’t need to have it over complicated just use some cut out from a magazine or favourite pictures you have found on the internet. 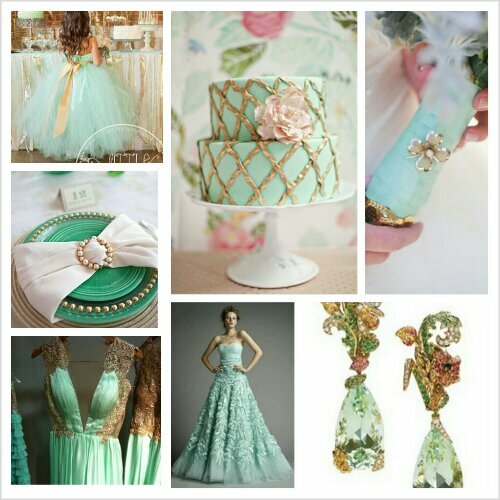 A mood board is also a great way to ensure that your decorators, florists, reception venues or wedding planner has a clear vision of how you envision your special day. As you start to progress in your planning and start to buy some of the decorations, I suggestion you set up a mock-up of your table setting as this will give you an overall concept of the design and feel. When it comes to adding more, I always remember the Channel quote “Before you leave the house remove one item”. Essentially you can have too much. Consider taking a photo so you can see the full effect. If you are able to, try to match the lighting that you will have on the day. So many people forget the importance of great lighting. 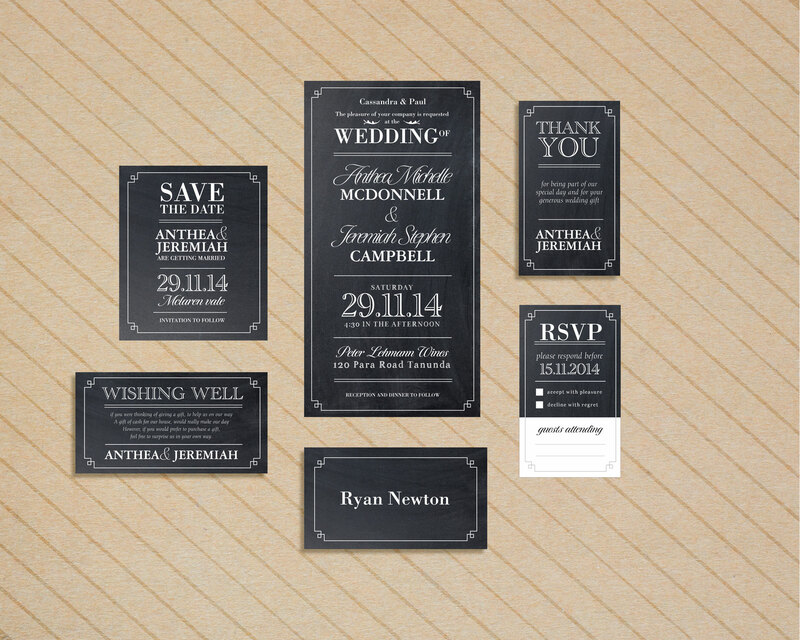 So many people forget that your Save the Dates and Invitations are the first glimpse your guests get about the style and theme of your wedding. Make sure you speak to your supplier to ensure that share your concept with them. You can include your colours scheme into your paper colour choice. Having a venue that complements your theme is one of the simplest ways you can add that extra bit of excitement to your wedding day. I highly recommend that engaged couples think outside of the square when looking for venues. Generally every city has an untapped new venue. For example, having your reception in the auditorium of a new high-rise building or on the roof top of a new bar. There are soo many new and funky buildings being completed every year. When you have a venue that matches your concept, you can also spend less on other items such as decorations and lighting. Favours (bonbonniere) are one of the easiest ways you can inject your personality to thank your guests for coming. It could be a card stating you have made a donation to your favourite charity or if you are teachers, you could give everyone a toffee apple. The choices are endless. Next week we will look at the budget. Don’t get scared as we will also share some creative ways for you to save $$$. 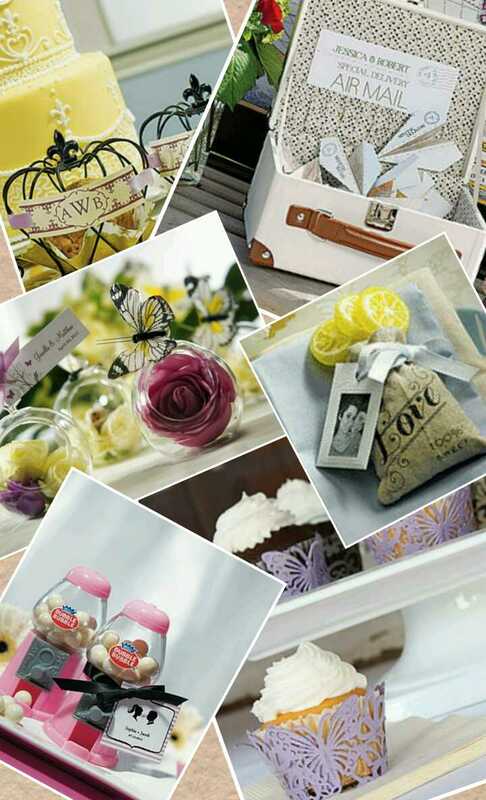 Examples of different and creative favours.